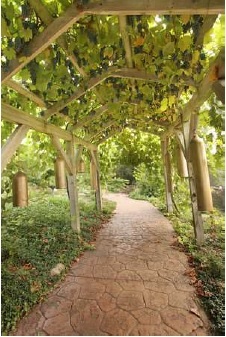 We here at Hermann Hill challenged our guest to a 3 mile walk through Hermann starting at our Vineyard Spa & Inn. We are excited to announce we have extended the challenge. Hurry before time runs out and come stay with us in either our Riverbluff Cottage Suites or at our Vineyard Inn Suites. The 3 mile walk will take you through the historic town of Hermann. You can do the walk in just a short hour or make a full day visiting the local wineries and museums that you pass on the walk. After you finish the 3 mile walk come visit our gift shop to get your free t-shirt showing you concurred the challenge.